At the summit, visitors arrive at the Peak Tower, the city's most unusual building and icon. The unique "wok" shaped tower sits at an elevation of 396 metres. Viewing terraces located on different levels of the tower offer spectacular views of the Hong Kong and Kowloon skylines, including Victoria Harbour. 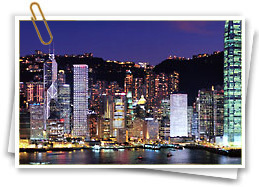 The Peak Tower also puts visitors in touch with Hong Kong's lesser known, but equally breathtaking natural side. Visitors can take a leisurely stroll along one of the nature trails starting from The Peak Tower and relax among the lush green vegetation while enjoying a 360-degree view of Hong Kong. In level 2 of the Peak Tower is Madame Tussauds Hong Kong. 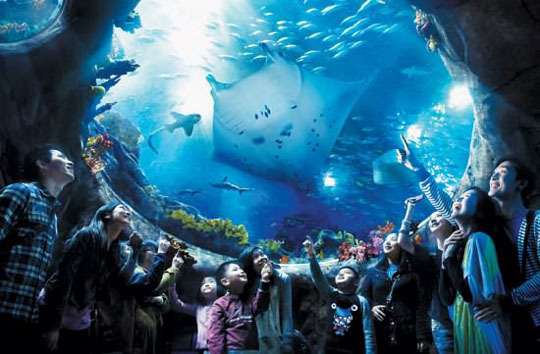 There you can get up close and personal with your favourite stars: such as soccer David Beckham, action king Jackie Chan, actor/singer Andy Lau, etc. 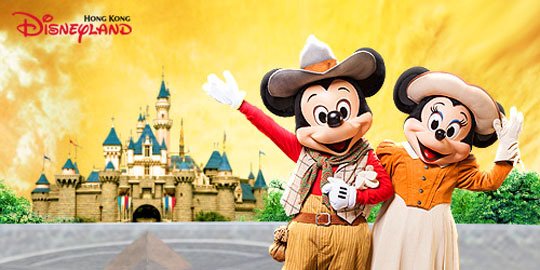 You and your kids will see about 100 wax figures of celebrities that look exactly like the real person. 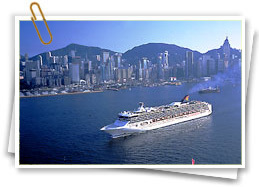 Also Read: How to plan a family tour of Hong Kong? How to Get to the Peak? 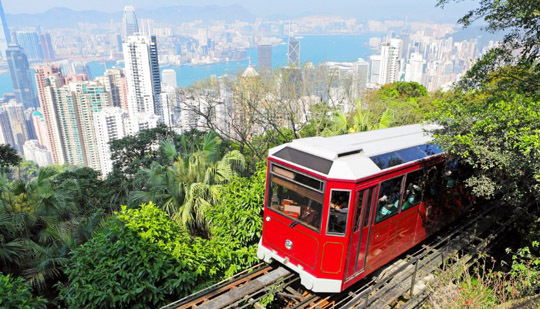 The most enjoyable and spectacular way to reach The Victoria Peak is to take a ride on the Peak Tram. 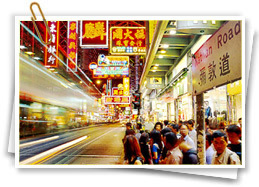 The Victoria Peak Tram runs every day, including Sundays and public holidays, between 7:00 am and 12:00 midnight. 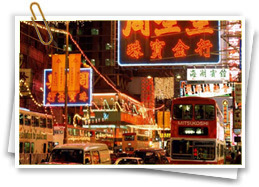 Shuttle buses operate between the Central Star Ferry Pier and The Victoria Peak Tram Terminus at Garden Road. 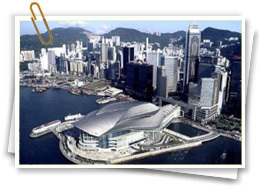 You can reach the terminus on foot from MTR Central Station J2 exit.